We, the collective internet music community, have been making a lot of hay over Syro for the last month. Now we can hear this thing we’ve hyped so highly. 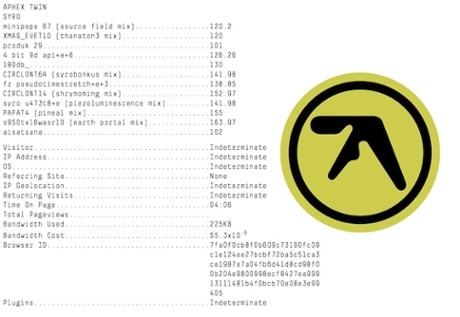 The first Aphex Twin album in 13 years is now streaming over at Bleep.com in advance of its release tomorrow on Warp, and it’s still up for pre-order from several places.